Are you tired of all the cheap gaming mice you always buy? Have you decided to get a nicer one that cost a little more? Then you are in the right place. I have picked the top 5 gaming mice that are going to be best-sellers in 2017. Whatever your gaming preferences or requirements, one of these will complete your ultimate PC gaming setup. Below you will see a list of the 5 best selling gaming mice of 2017. The list is updated as of Jan 2016. See also the complete list of best-selling mice for under $20. 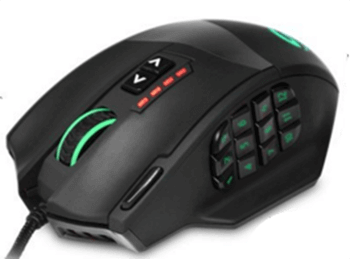 [Score: 8.6/10] It’s not every day that you stumble upon a fully customizable gaming mouse with 19 buttons that costs less than $50. 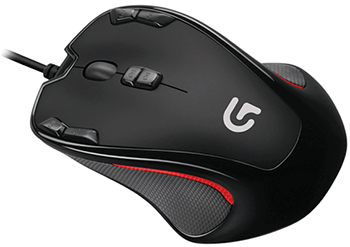 The UtechSmart Venus gaming mouse is, without any doubt, a very attractive package for all lovers of strategic and MOBA games. Let’s take a look and see if it’s really possible to make a high-performance laser mouse on a budget. [Score: 8.5/10] You can never go wrong with Logitech. 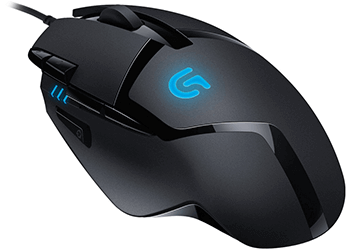 The Logitech G300s is a very comfortable gaming mouse made with the best quality materials. If you are looking for better ways to activate all of the skills in the game, you should consider this incredible mouse. It has a solid click and easily programmable side buttons. In my opinion, these extra buttons are in the perfect spot for a gamers taste… Read full review. 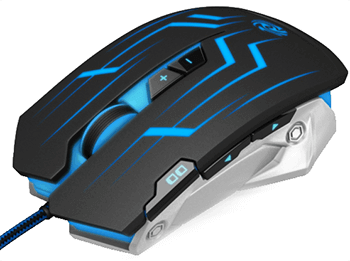 [Score: 8.1/10] Whether you are a gamer who loves a heavy mouse or the one who finds a light-weight mouse the best tool, one thing that every gamer wants is speed. More speed means you have more chances of winning the game. 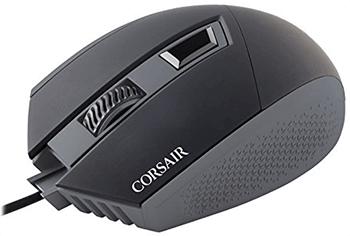 This is where Corsair KATAR gaming mouse fits perfectly. It has zero acceleration with 1000 Hz polling rate and support for 8000 DPI optical sensor that provides the speed you need. At any time, you can switch to the desired DPI while using the DPI switcher given on the mouse and beat your enemy.